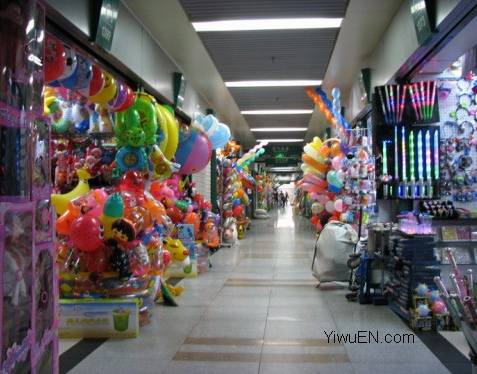 Yiwu Toys Market not only has the largest wholesale toys marketplace in China, but also sees the toys industry as its one of the strongest industries. There are over 6,000 stalls for wholesale toys of electric toys, inflation toys, plush toys,RC Toys ,Action Toys, Animals & Stuffed Toys, Arts & Crafts, Educational Toys, Electronic Toys, Outdoor Toys & Structures, Pet Toys, Plastic Toys, Pretend Play & Preschool, Solar Toys, Toy Vehicles, Wind Up Toys ect. on the first floor in district1 of Yiwu International Trade City.